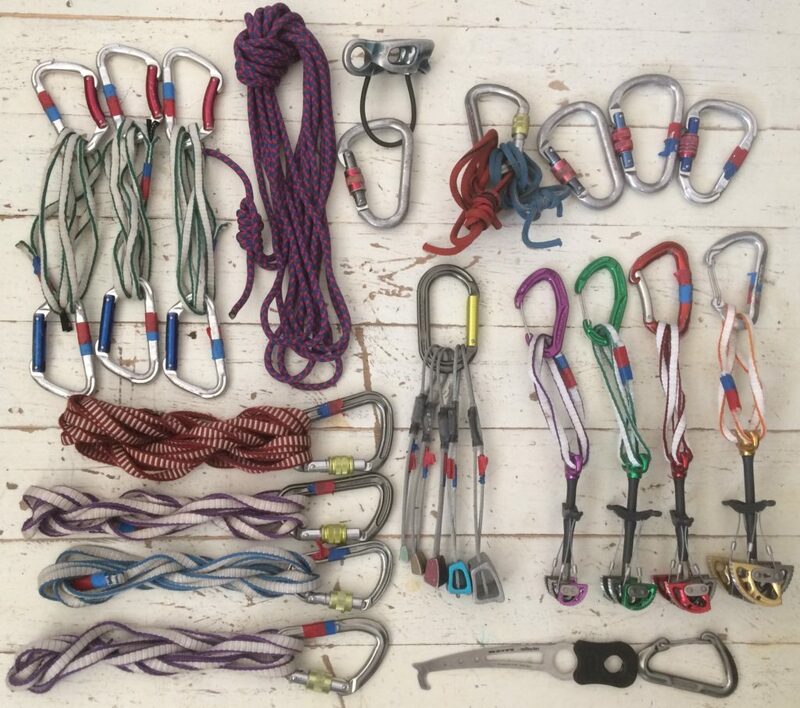 Here in our second article, on scrambling. 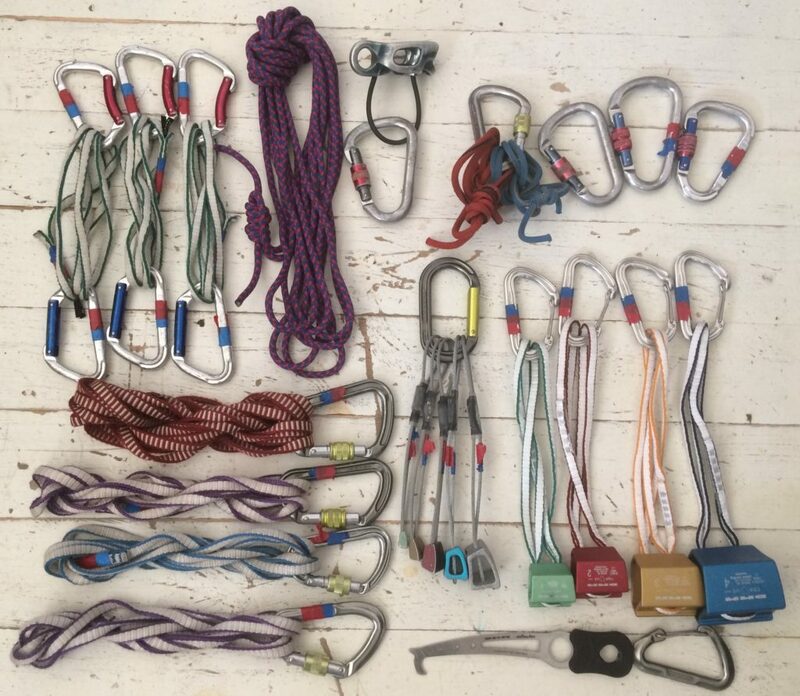 Here we will explain what to carry on your scrambling rack. As described in our previous article, grade I scrambling terrain, consists of the occasional difficult and steep step, and generally no rope work is needed. 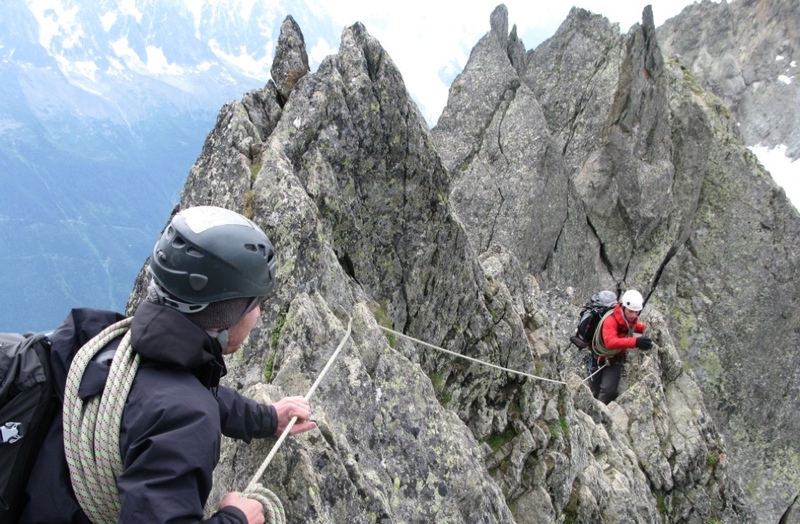 However on grade 2 and 3 scrambles, the terrain can come with serious consequences, and using ropes and protection is helpful in keeping the leader and second safe. So what do you need? Firstly, a guidebook, map and compass, would be helpful in getting you to the start of the route, and will also help with route finding, most of the time. Assuming you like the outdoors and have waterproof clothing, and a rucksack, I would suggest carrying a first aid kit, a bothy bag, and a head torch. Before I talk about the rack, a good pair of lightweight walking/mountaineering boots will give you ankle support, grip in most conditions, and comfort for the long days out. I could suggest what boots I wear, but you need to do your own research. These depend on the shape of your feet. Note: Please note that you can use cams instead of the hexes. The hexes are cheaper, and can be placed width ways both vertical and horizontal, whereas the cams can only be placed with the 4 lobes touching the rock, in the camming position (please refer manufacturers suggestions).